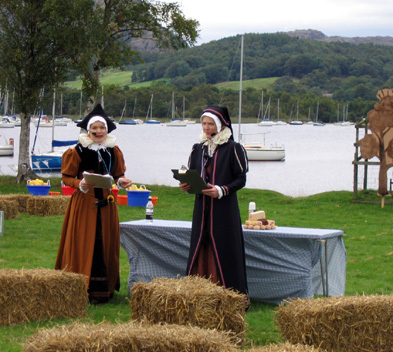 about the project The Coniston Water Festival was a tradition in Coniston, Lake District, instituted in the later half of the 19th century, continuing up until 1998. 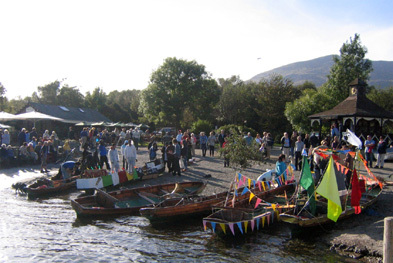 The week-long events centered around Coniston Water and the valley, with a boat dressing and water parade as the centre piece. 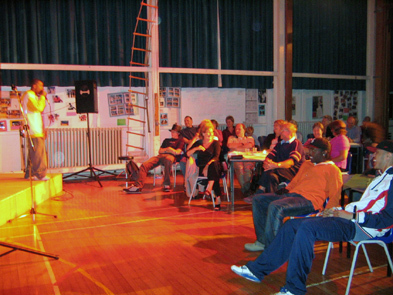 Since the festival was missed by the many local people involved, Grizedale Arts suggested restarting the festival in 2003. The edition of 2005 included a variety of art projects — by circa 20 artists — and an artists’ film programme, all interwoven with Coniston and the area. David Blandy created a performance together with youth groups from Dalston (London) and the local area. He also led guided walks as his alter ego, The Lone Barefoot Pilgrim. Locals were also asked to actively join in the project by Karen Guthrie and Nina Pope. 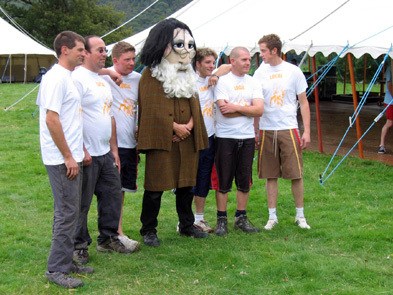 They organized a special version of the 1970’s TV show ‘It’s a Knockout’. 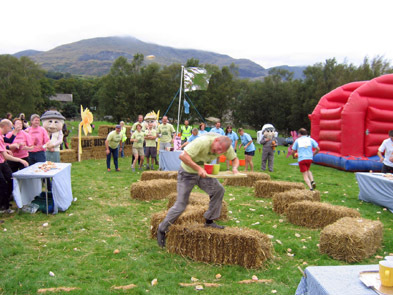 In their version of the show, five teams competed: the National Trust, locals, tourists, the Coniston Sailing Club and the National Park Authority. Karen and Nina provided commentary. Church organ music based on the rave culture by Matt Stokes, a 12 foot swan by Kerry Stewart in the boat dressing parade and an after dinner speech by artist and stand-up comedian Bedwyr Williams were some of the other experiences visitors could enjoy. about artist and participants Grizedale Arts is a commissioning and residency agency based in Grizedale Forest in the Lake District of Great Britain. The programme supports artists in making new works that relate to the context of the unique area. These ideas often engage with ideas of romanticism, the environment and the way the place is used: what does the countryside do for us and what do we expect from it? The programme engages with local communities and events, integrating artists’ thinking and communication into more mainstream and traditional activities. 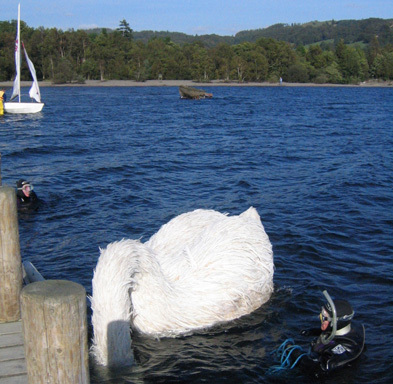 The Coniston Water Festival is part of a series of events co-ordinated by Grizedale Arts called ‘Cumbriana Proof’, reflecting on tourism-motivated regeneration of the Lake District in North West England.